Beit She’an ” Scythopolis ” is certainly one of the most beautiful archaeological sites in Israel. The ” Nymphaeum ” monumental public fountain, adorned with sculptures and water games. The magnificent reconstructed mosaic of the goddess Tyche, the Greek goddess of Good Fortune, holding the Horn of Abundance. It was stolen a few years ago, but a reconstruction was made and is exhibited on the site. 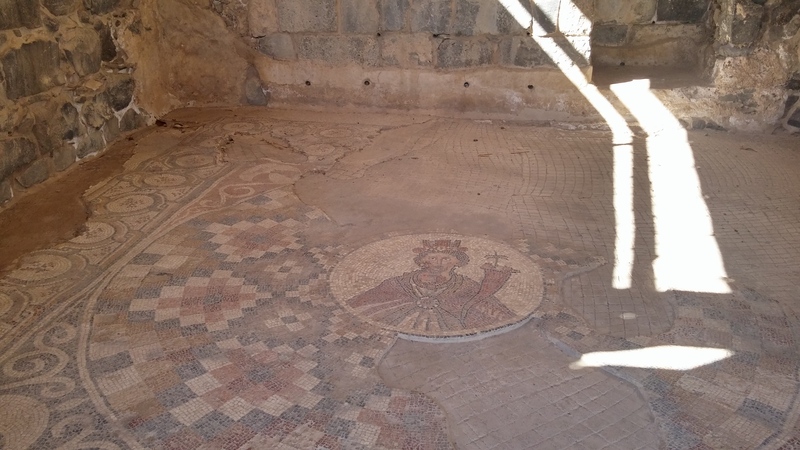 Dionysus was also the protector of Beit Shean, the God of grape harvest, vinification and wine, ritual madness and fertility. Legend tells us that the nymph Nysa nourished him and raised him during his childhood. This entry was posted in amphitheater, Beith shean, byzance, cardo, decapolis, Dionysos God of wine, earthquake, egyptian period, Goddess Tyche, hot bath, Israel Museum, Jordan Valley, mosaics, Non classé, Nysa, roman period, scythopolis, tell, Temple of Zeus, theater and tagged archeology, history, mythology, religion on 1 February 2017 by Nicole Samuel Israel Guide. The funeral of the former President of Israel Shimon Peres was held on 30 September 2016 in Jerusalem. Many dignitaries from all over the world made a final tribute to this Great Man. Charles, the Prince of Wales, was among them. At the end of the ceremony, which took place on Mount Herzl in Jerusalem, Prince Charles went to visit the Russian Orthodox nuns of the St. Mary Magdalene convent on Mount of Olives, where they live in contemplation. 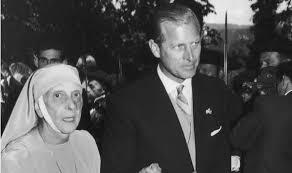 He brought with him a bouquet of flowers, picked from his Scottish residence’s garden, to lay on the grave of his grandmother, Alice of Greece, born Battenberg, mother of Prince Philip. A visit of utmost importance…. But who was this Princess Alice of Greece? She was a remarkable woman. visit his mother’s grave on the Mount of Olives for the first time. 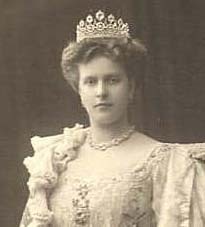 There is also a second Royal tomb to be found in crypt of the convent; that of the great-aunt of Prince Charles, the Duchess Elizabeth Feodorovna of Russia, murdered by the Bolsheviks in 1918. Princess Alice of Battenberg was born on February 25th, 1885 at Windsor Castle. Queen Victoria, Alice’s grandmother, felt very close to the little girl and soon realises that her granddaughter suffered from congenital deafness. She was taught lips reading and was able to speack correctly. even mastering several languages. At the age of seventeen, Princess Alice met Prince Andrew of Greece for the first time, and fell in love. The respective families marked reluctance due to Alice’s young age however the couple will be united and their marriage announced. They got married and separated a few years later but have five children together. The princess gives birth to four girls and a boy. In 1911, further to the murder of Alice’s stepfather and the tension due to the war in the Balkan, the Greek royal family fled into exile and settled in Lucerne in Switzerland. Eventually the Princess would return to Athens in 1938 to remain there until the end of the World War II, helping the Red Cross and dedicating her life to the poor and the sick in field hospitals. She converted to the Orthodox religion and became increasingly mystical to the verge of insanity. In 1949, she founded an order of orthodox nuns, which was inspired by the one created by her aunt, the Grand Duchess Elizabeth of Russia, born princess of Hesse. The princess attended the coronation of her daughter in law Queen Elizabeth II in 1953, wearing the outfit of her religious order. In December 1967, following the “Colonels coup d’etat” in Greece, she had to leave her country again. She came to live in Buckingham Palace, near her family. She died in London on December 5th,1969. and was buried in the chapel of Windsor Castle. Princess Alice’s last dying wish was to be buried in Jerusalem. In 1988, her remains were finally transferred to the monastery of St. Mary Magdalene in Jerusalem, where she rests next to her aunt, Grand Duchess Elizabeth of Russia. This entry was posted in Alice of Battenberg, Athens, Duchess Elisabeth Feodorovna of Russia, Greece, jerusalem, Jewish, Mount of Olives, Non classé, Prince Andrew of Greece, Prince Charles, prince consort philip, Princess Alice, Queen Elisabeth II, Queen Victoria, Righteous among the Nations, second world war, Shimon Peres, United Kingdom, yad vashem and tagged faith, kingdom, religion, war on 13 October 2016 by Nicole Samuel Israel Guide. Due to transactions of church property, made secretly with Israeli settlers, the former Patriarch of the Greek Orthodox Church Irineos I, is living behind locked doors in the walls of the Old City of Jerusalem since 2005. His successor, Theophilos III, does not authorize his lawyer, doctor or any visitor to enter the house ” prison ” of the former Patriarch. He spends his days completely isolated, praying, reading and writing, always wearing the black traditional costume of the Greek Orthodox clergy. Irineos still considers himself the Patriarch of the Greek Orthodox Church. A Muslim Palestinian from the old city regularly brings him food in a basket, which he pulls up with a rope through one of the windows, overlooking an alley in the old town. The allegations against the former Patriarch are based on the fact that he signed sales agreements with Jews wanting to increase their presence in the majority of the old Arab city of East Jerusalem. Three important buildings in the Jaffa Gate were the subject of leases of 198 years and were sold to a group of anonumous investors… the shops, the Imperial Hotel and the Petra Hotel are located in the Jaffa Gate at the intersection of Christian, Muslim and Armenian neighbourhoods. According to the ‘Camp David’ agreement” of 2000, the Christian and Muslim areas, whose population is Arab, would remain under Palestinian control and become the new Palestinian capital in East Jerusalem, whereas the Jewish sector would be Israeli. The Greek Orthodox Patriarchate holds 20 percent of the old town. Obviously, a lot of money was involved with these properties agreements, but not enough related documents could be found. The financial Manager, Mr. Papadimas, vanished with $ 700,000, and claims from his exile that a proxy of sale had been signed by Patriarch Irineos I, who replied to this statement that the document was fake! Some think that the Patriarch Irineos wanted to remain in good favor with the Israeli authorities. However, one cannot ignore the fact that that many criminal investigations are underway in Greece concerning the scandals, accusing the Greek Church to be involved in the antics traffic, and of rigged trials and sexual offenses. This movement of acquisition of property in the old town and the new city of Jerusalem is an indisputable fact, which worries the local population, because the number of settlers implanted in Jerusalem is continuously growing. This entry was posted in acquisition of property, antic traffic, Armenian quarter, Camp David agreement, Christian quarter, Greece church, Greek Orthodoxe, Greek Orthodoxe Partriarchate, Imperial Hotel, Irineos I, Jaffa gate, jerusalem, Muslim quarter, Non classé, old city of Jerusalem, Petra Hotel, scandal, settlers and tagged corruption, faith, greek orthodox, patriarchate, religion on 26 August 2016 by Nicole Samuel Israel Guide. 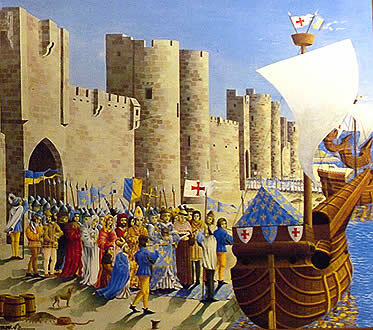 Every year at the end of August, the city of Aigues-Mortes in southern France celebrates the departure of Saint Louis for the Crusades. This good-hearted and generous king never hesitated to invite the poors to his table. He vowed to cross himself after a long illness that many thought fatal. 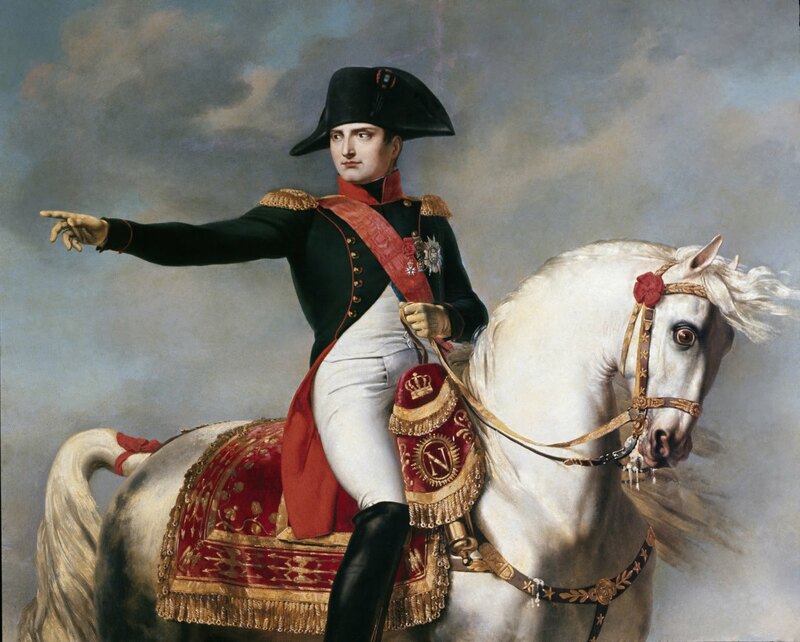 While a relative peace and economic prosperity reigned in the Middle East, and diplomatic and trade relations were constantly increasing, an unwelcome alliance was made with the Prince of Damascus against the Sultan of Egypt. In 1244 the sultan took Jerusalem and destroyed the Christian army. Pope Innocent IV then called for a new crusade and Saint Louis hasted to organise it. 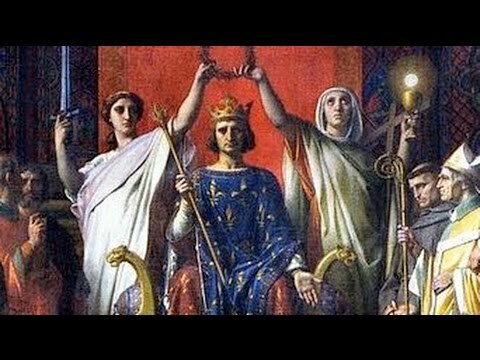 The seventh crusade was to be the first one of the two crusades undertaken under the direction of Saint Louis – King of France. 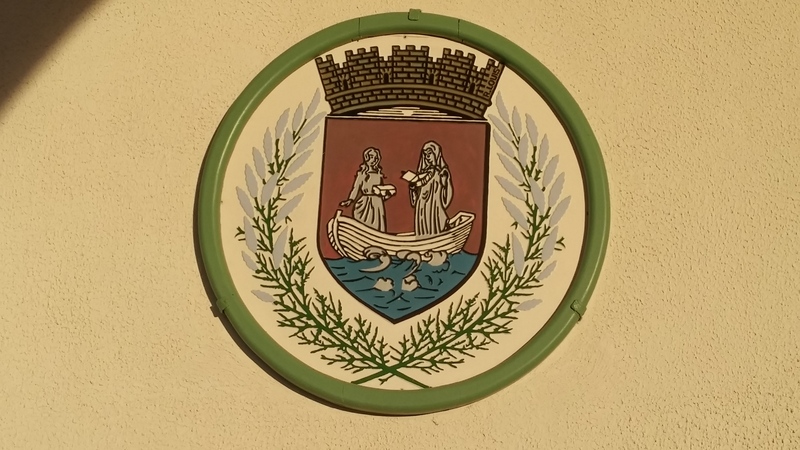 In this southern city of France, construction work would be carried out, such as a port, a church called the ”Sablon”, and a tower to protect the port called ”Constance”, of which remains exist in the old town of Aigues-Mortes to this day. This expedition regrouped 36,000 men committed to a new conquest of the holy places and the Holy Sepulchre, but also in order to found a colony in Africa. Therefore it was necessary to bring not only arms, ammunition and food, but tools as well. 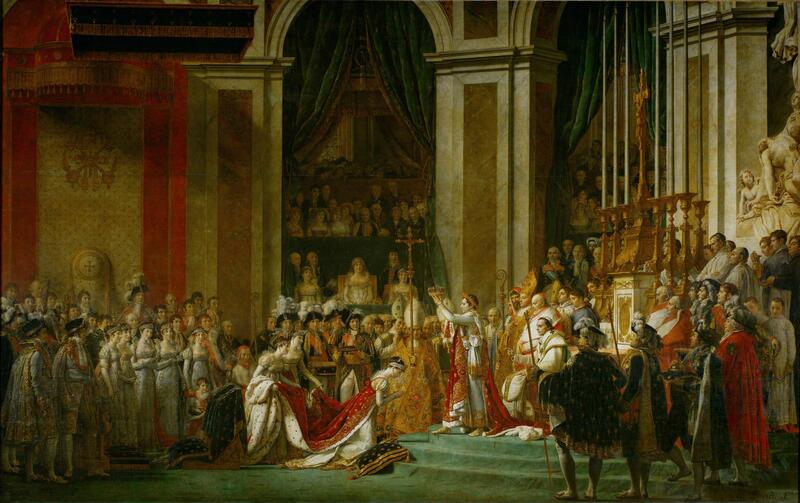 A crusade in which no foreign sovereign was involved … strictly French !! After receiving the papal blessing in Lyon, Saint Louis reached Aigues-Mortes the 25th of August 1248. The cry of ” God willing” accompanied the departure of these Fancs to the Holy Land. Saint Louis remained in the Holy Land for four years in order to build the Kingdom of Jerusalem and to allow it to be capable of defending itself against a new threat: the Mameluks. The crusade ended in 1254 by the sudden return of the king to France after the death of Blanche of Castile, his mother who ensured the regency during his absence. Although this crusade did not reach the desired results, it was important for the survival of the Kingdom in the Holy Land. Following the conquest by the Mamluks of the port City of Jaffa, Caesarea and Arsuf, Saint Louis decided to return for a new crusade. While reaching the port of Tunis a plague broke out, and a large part of his troops became ill, as well as the king himself, who died in August 25th, 1270. 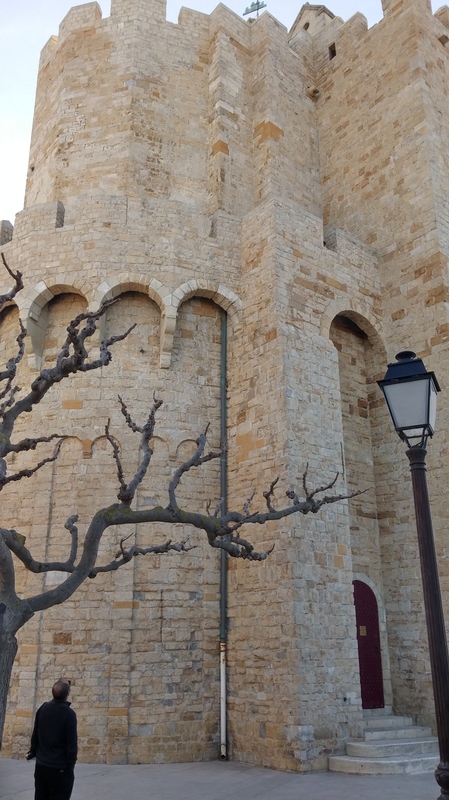 This entry was posted in Aigues mortes, Blanche de Castile, catholic, Christian army, Holy land, King of France, Mameluks, Medieval, Medieval city, Middle East, Pope Innocent IV, Saint Louis, Seven crusade and tagged conquest, Crusades, middle age, religion, war on 3 June 2016 by Nicole Samuel Israel Guide. -The Golden Gate – the Sultan Suleiman the Magnificent while renovating the walls of the old city definitely closed that gate in order to refrain the Jewish Messiah to pass. – The Tanners gate reopened recently. – The Jaffa Gate in the direction of the Biblical city of Joppée, called Jaffa today. – The New gate built at the end of the nineteen century to allow a quick passage to the Christian quarter . – The Damascus Gate the most beautiful gate in the north in direction of Naplouse and Damas. – The Flowers Gate also called the Herod’s Gate opened in 1875 after the construction started outside the walls. – The Lions Gate according to a legend the sultan Soliman the Magnificent had a terrible nightmare, lions threatening to devour him as he did not seriously provide the protection of his population living inside the old city. He immediately hastened the construction of the city walls. 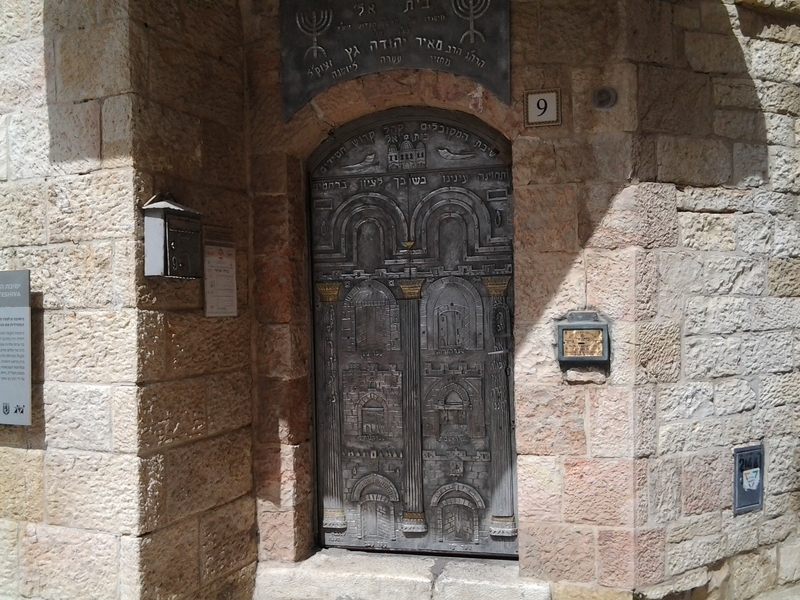 This entry was posted in gates, Israel, jerusalem, Non classé, Old city, old city of Jerusalem, ottoman period, Suliman the magnificent and tagged history, ottoman period on 28 May 2016 by Nicole Samuel Israel Guide.